Blooming 'eck! Bluebells are about to start popping up in their thousands across Bucks and Oxon. Here's where to find the best of them, plus our pick of nearby pubs for a cheeky pitstop. What’s a sure sign that it’s finally Spring? Finally retiring your thermal vest, yes. But more excitingly it’s the arrival of bluebell season. 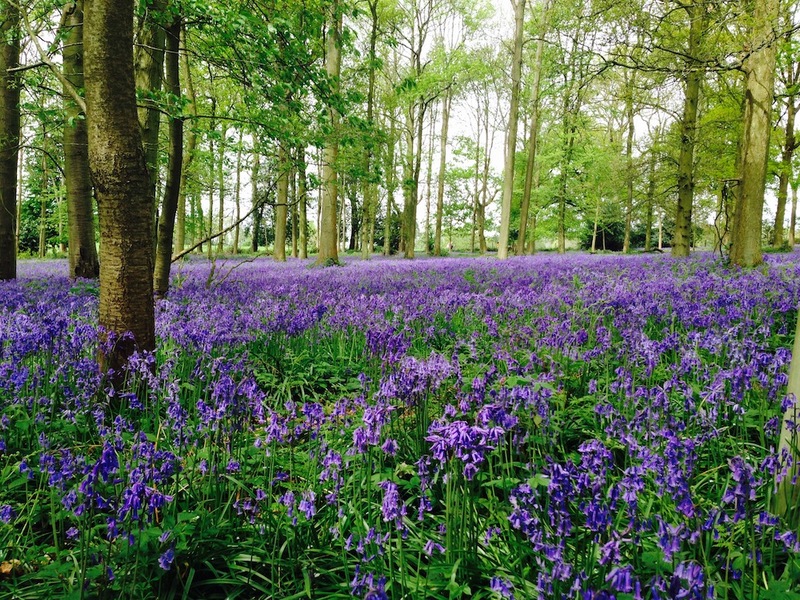 We’re so lucky to have the most incredible number of bluebell woods in Bucks and Oxon. I’ve drawn up this list as a prompt as these stunning fields of blue are about to start to bloom and will only last a few weeks. So, chop chop! Greys Court captured by moi! It’s not only a magically pretty National Trust building and gardens well worth a visit in its own right, but the Greys Court Spinney Woods are a sea of English bluebells. Here’s my post about the bluebells at Greys Court from a few years back (an oldie but a goodie!). The walk itself is either a toddler-friendly 750 metres or a more stretchy 2-3k. Pit stop: Antony Worrall Thompson’s The Greyhound, Rotherfield Peppard, is 2.5 miles away or The Bull On Bell Street is a seven minute drive. If you’re willing to travel further The Yew Tree in Frieth is 20 minutes away. 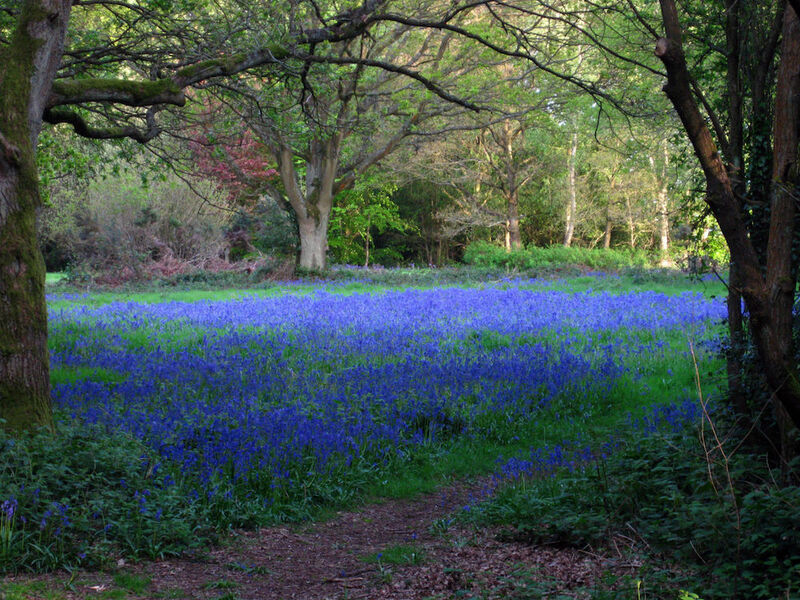 This 400-year-old Woodland Trust site is carpeted with blue beauties in the Spring and has marked trails so you won’t get lost and eaten by the Gruffalo or anything (and please stick to them – apparently rare fauna there is under threat from trampling). There’s also a variety of butterflies and birds, including tawny owls. Pit stop: The Lion Wendlebury is a 15 minute pootle in the car. No explanation needed for Blenheim: beautiful heritage site plus bluebells is a dead cert. Pit stop: The White House, Bladon, The Crown Inn or The Woodstock Arms, both in Woodstock. 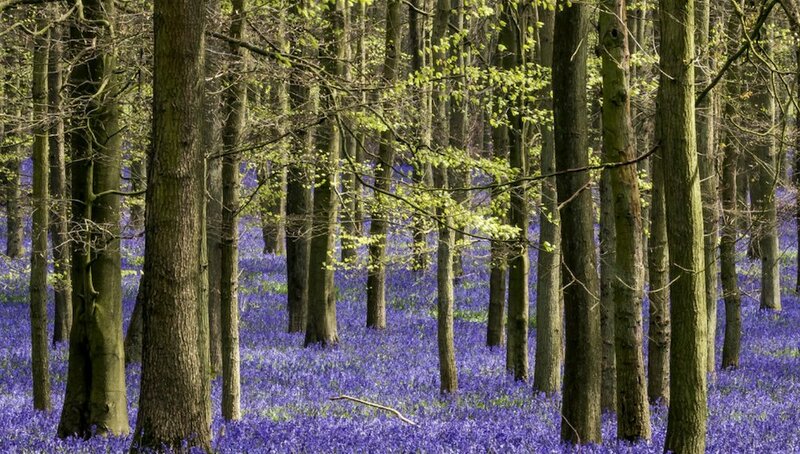 A spectacular display of bluebells among the beech trees at Badbury Hill and Badbury Clump. Badbury Clump is the remains of an Iron Age hill fort from about 600BC with woodland paths and trails perfect for families, with a free car park nearby. Pit stop: The Greyhound Inn at Letcombe Regis. Ancient woodland 4 miles south of Burford, with an easy circular Wildlife Walk (1.75 miles) and carpets of bluebells in May, plus seven types of bat if you time your trip towards the end of the day! Pit stop: The Angel at Burford, a 10 minute drive away, or The MayTime Inn in the pretty ‘Mitford’ village of Asthall, just six minutes by car, or a gentle 30 minute walk. My local go-to bluebell display, this 325 hectare wood has a café, Go Ape, riding trails, children’s woodland play area and displays of bluebells on the extensive paths. You can easily spend a whole day up here, so go when it’s sunny to make the most of the facilities. Pit stop: Rumsey’s chocolaterie and family-friendly Italian restaurant Lucca are both in Wendover, a 5 minute drive. This lovely wood is set high in the Chiltern Hills with amazing views over the surrounding countryside. Plenty of paths to explore and a lovely option for little kids, with all the red kites flying around. Pit stop: The Fat Fox Inn, Watlington or The Fox & Hounds in Christmas Common. 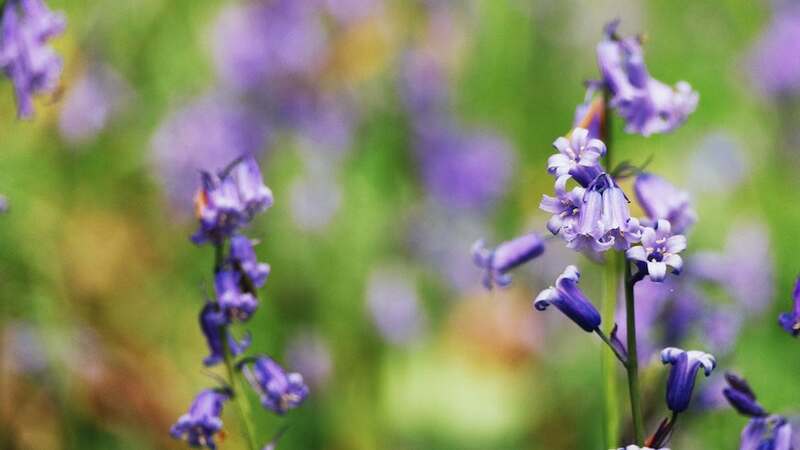 An equal distance from Chesham, Berkhamsted, Tring and Wendover in the Chiltern Hills, the 42 hectares are a designated County Wildlife Site so are bursting with all sorts of beautiful flora, fungi and fauna as well as your bluebell fix. The land is privately owned, but it’s access all areas to the public. Pit stop: The Full Moon Pub, Hawridge & Cholesbury. A Muddy reader tipped us off about this spot (thank you!). This ancient woodland, 8 miles north of Milton Keynes, is privately owned so make sure you stick to the paths and you’ll need to pre-book parking on site. The owners hold an annual bluebell open day on the May Bank Holiday – 6 May this year, which involves guided walks, refreshments and kids’ activities. A scenic nature park with ancient oak trees, hiking paths and a small play area in the middle of Milton Keynes. Yup you read that right! Pit stop: No need to go further than the on site, dog-friendly café – though, be aware, I’m yet to try this one out myself personally. Yeah yeah I know, it’s just over the border into Herts, but the lovely 2000 hectare Ashridge Estate is awash with the little blue flowers over the next month or so. It’s all lovely and bikeable and there’s a decent outdoor cafe too. About as quintessentially English as a Cotswold village can get (it’s a popular filming location for The Crown), Great Tew is eight miles north east of Chippy and has acres and acres (3,500 to be exact) of woodland, parks and farmland- all prime bluebell hotspots. Pit stop: The Boxing Hare, nr Chipping Norton and Soho Farmhouse if you can get through the members-only gates. Not forgetting… The woodlands around Boarstall Duck Decoy nr Bicester (there’s new outdoor play equipment in the woods too!) The Harcourt Arboretum at Nuneham Courtenay, south of Oxford with its peacocks and lovely gladed walks; Adams Wood, between Frieth and Skirmett a few miles east of Christmas Common; the coppiced beech wood of Low Scrubs near Coombe Hill, just south of Wendover; Magdalen College Oxford; the woodlands of Cliveden House in Taplow; the beech woodlands around Hambleden Valley and, a lesser known spot, Bagley Wood in Kennington village, two miles south of Oxford centre. Great Recs thanks! Would be useful to add info for dog owners on dog friendly policies for each of the places. Ie allowed but on lead, off lead or no dogs. Thanks! Don’t forget Evenley Woods….between Buckingham and Bicester!